Food stations serving up whole wheat pasta, salads and make-your-own-sandwich. Focus groups that weigh in on dining options and culinary choices. An online menu, easily accessible through a click on a website. They might sound like features found in a restaurant. Instead, they are offered by the Union City School District through a multi-faceted nutrition education program. The 2014 implementation of the Community Eligibility Provision means that all Union City students are eligible for free breakfast, lunch, after-school dinner and snack. With that, school officials in the district set out to increase the number of students taking advantage of the food program. The success has been tangible: “Breakfast After the Bell” participation rose from 16 percent, to 72 percent, in three years. In support of the food service vision, an extensive three-year school kitchen renovation project was completed in partnership with Chartwell’s, the food service management company. 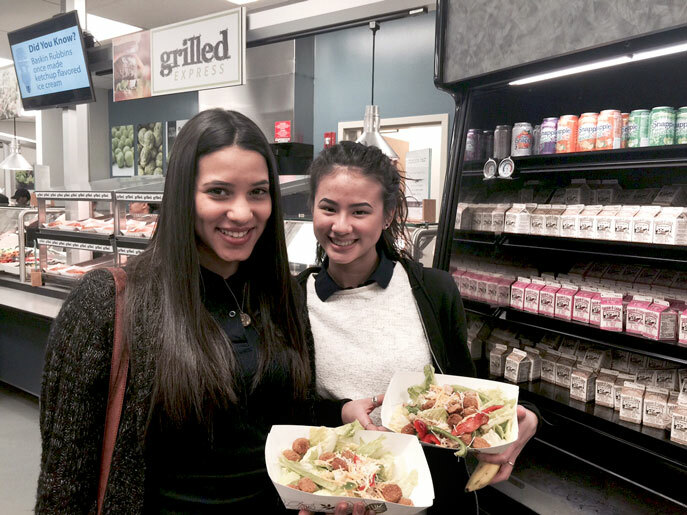 A website, “Nutrislice,” allows students, parents and faculty to see menu choices and nutritional information. Through the Chef-to-Schools program, students sample new entrée and vegetable servings, which are cooked in front of them, and then vote on their favorite. Winners are incorporated in the following week’s school menu. An on-site dietician also provides nutritional and educational information that takes the food service program into the classroom program. Submitted by the school district.